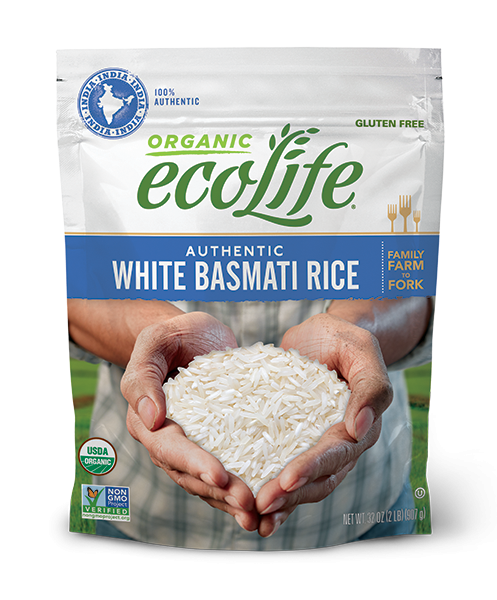 ecoLife® Authentic White Basmati Rice is a premium quality grain that is carefully cultivated in the Punjab region at the foothills of the Himalayan Mountains: the only place in the world where authentic Basmati Rice can be grown. 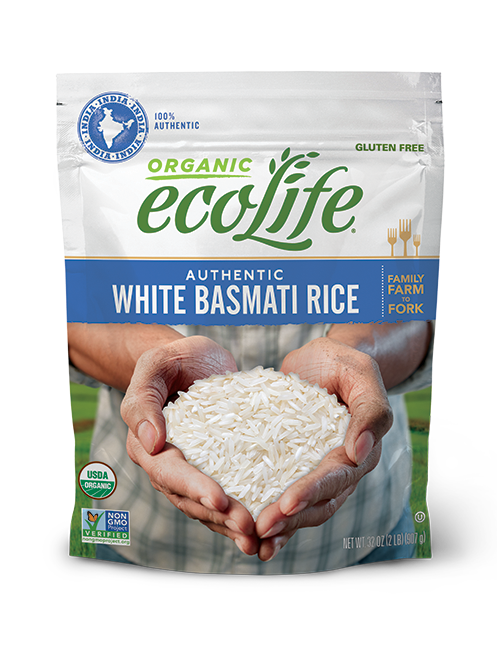 Here, registered EcoLife farmers tend to fields watered by melted snow, harvest the rice, then carefully age the grains for over 12 months to enhance their natural aroma and flavor. If rice is too hard in the first cooking, use more water. Use less water if it is too soft. Cover saucepan with lid, reduce the heat and simmer for 15-20 minutes until water is absorbed completely. 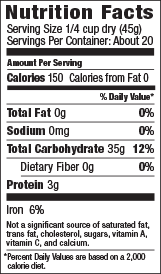 Combine 1 cup of rice with 2 cups of water, salt and oil/butter in a microwave-safe dish.